I am literally so excited to share with you guys these new face mask. 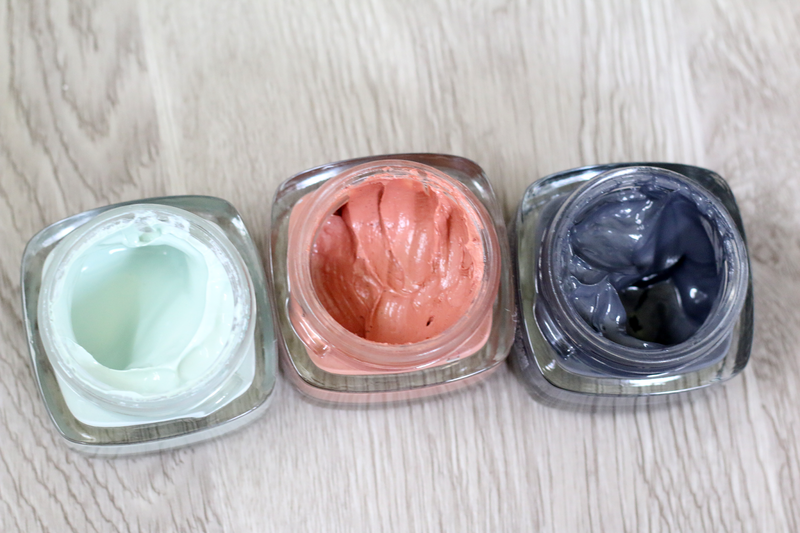 L'Oreal recently came out with three new face masks and I fell in love with each of them. It is always so exciting to see new face masks at the drugstore and I find these very familiar with high end masks. So I have all three to share with you guys, and since I love the packaging, I went a little picture happy. 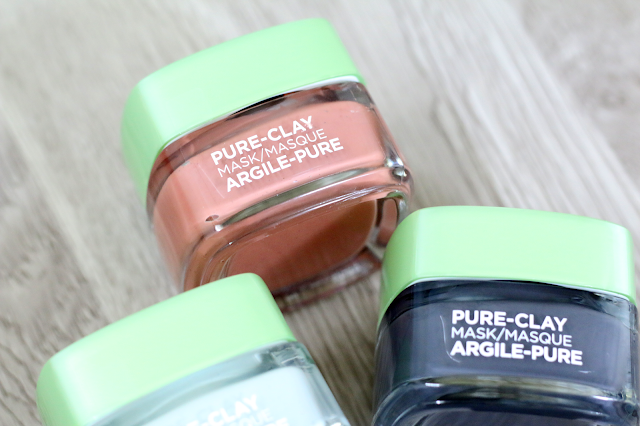 The first mask I want to talk about is the Purify & Mattify Pure-Clay mask. First of all, I am in love with the color of this mask. It is a mint green color and it is so pretty! 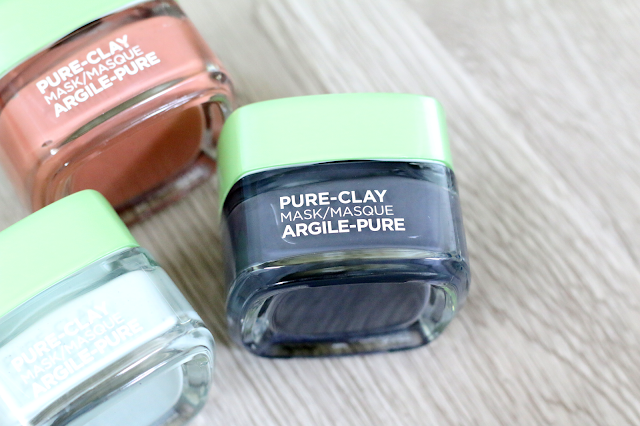 With this mask the clay penetrates deep into your pores to remove impurities. This mask helps reduce oil and helps make the skin look less oily. I love using this mask if I have been doing a lot of running or have been in the heat since my skin is usually a giant greaseball by the end of the day, so this mask helps my skin feel so refreshed. 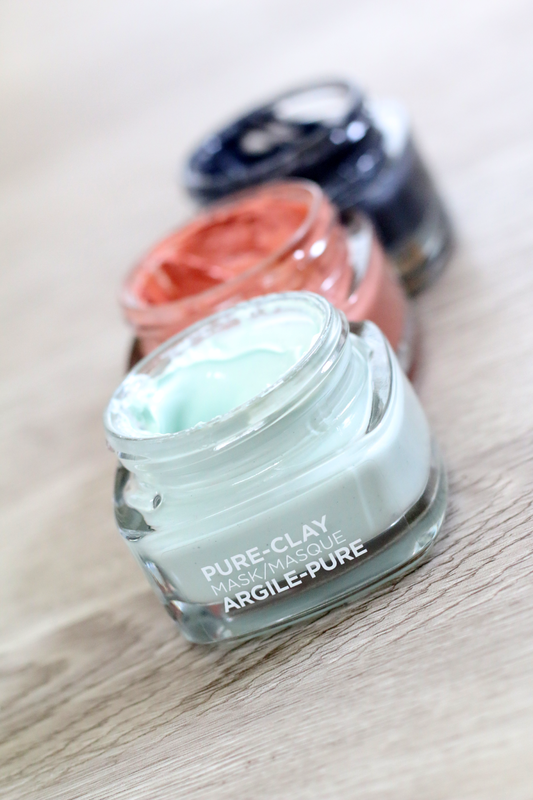 Next is the Exfoliate & Refine Pure-Clay mask. This one is a beautiful peach shade. This mask has volcanic rock which helps exfoliates the skin. It helps clogged skin and helps to minimize pores. 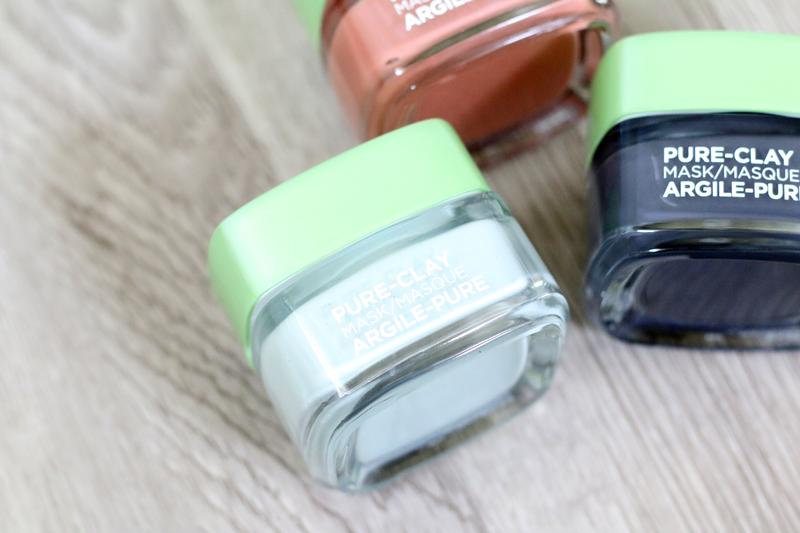 I love using this one if I wear a lot of makeup during the day because it just helps unclog my pores and leaves my skin feeling really smooth. 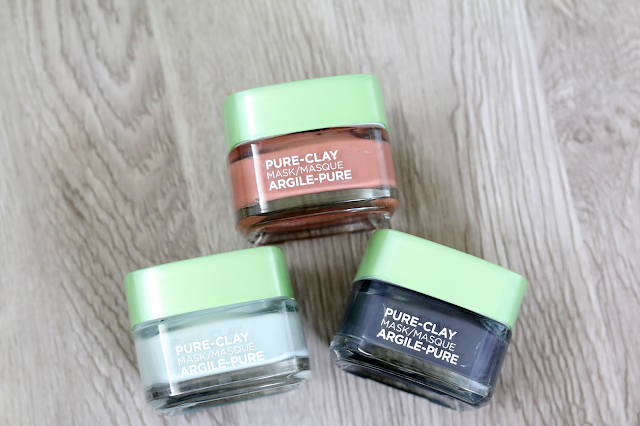 Lastly is the Detox & Brighten Pure-Clay mask. This is the mask that I use the most out of all of them. This mask is a non drying mask and makes your skin feel clean and velvety. And it helps your skin look brighter. It also does an amazing job at removing dirt and dust that may be on your skin. These masks are extremely affordable. They retail for $12.99 and are currently buy one get one 50% off at www.ulta.com. I think this masks are extremely good quality and and do compare to high end masks. 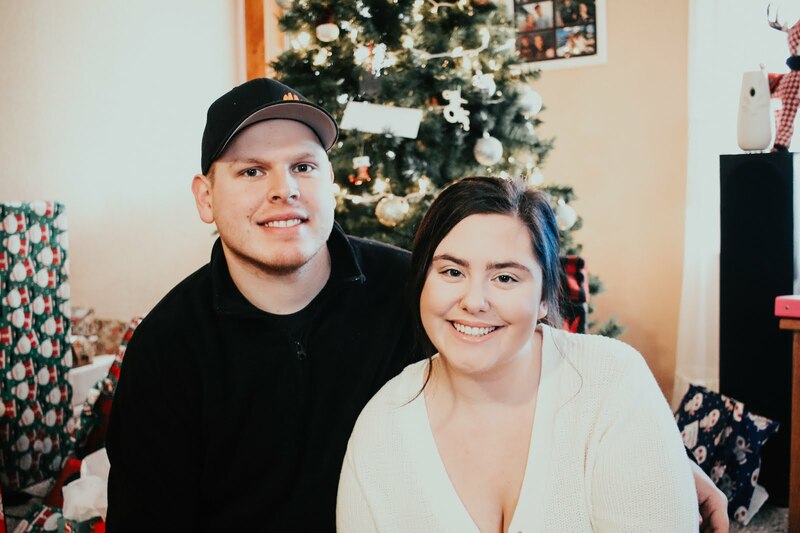 I highly recommend checking this out if you get a chance. Let me know in the comments below if you have tried these before and if so, which one is your favorite?